For some diseases, treatment decisions are clear-cut. Observation, medication, and surgery neatly align with objective clinical observations and diagnostic test scores. Glaucoma is not that kind of disease. As it stands, uncertainty remains a hallmark of glaucoma management. This is likely one of the reasons we all committed to this subspecialty in the first place; our personal histories are probably littered with a variety of puzzle-solving pursuits—mine certainly is. But this uncertainty starts at the get-go, too early in the process. Our clinical definitions vary, and a definitive diagnosis is made over time and in response to change. Even the risk factors we use to identify glaucoma—increased IOP, increased cup-to-disc ratio—are reactive. In truth, when combatting a progressive disease, reactivity is a natural inclination. We observe a need for intervention, and we respond. But what if we could be one step ahead of the disease and could more definitively issue an absolute diagnosis, prognosis, and treatment plan? As a whole, the field of glaucoma is becoming more interventional. Because of this, we must sharpen our ability to definitively diagnose the disease and to ascertain which patients are at risk of progression. With a clear consensus on the diagnosis, we could shift our mindsets from reactive to proactive and our approach, from responsive to preventive. We could truly practice interventional glaucoma. And, in doing so, we could lift many of the burdens placed on patients with this disease. 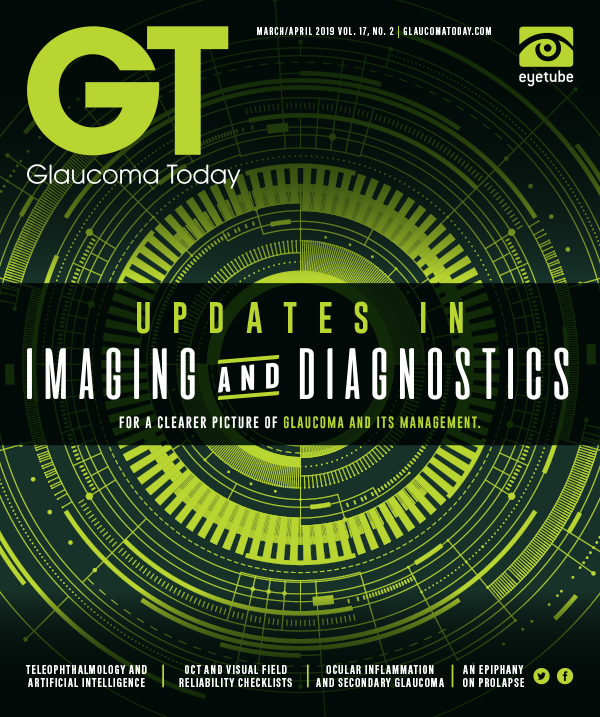 As seen in the cover focus articles in this issue, advances in imaging and diagnostics are providing clinicians with a more comprehensive picture of glaucoma than ever before. New solutions are adding greater objectivity to our clinical decision-making. Although there is no magic bullet for glaucoma and we cannot cure the disease, we can arm ourselves with as much information as possible to determine the best course of action for each patient—and that starts with the diagnosis. After all, we can’t possibly fit the pieces together without knowing what the picture looks like.